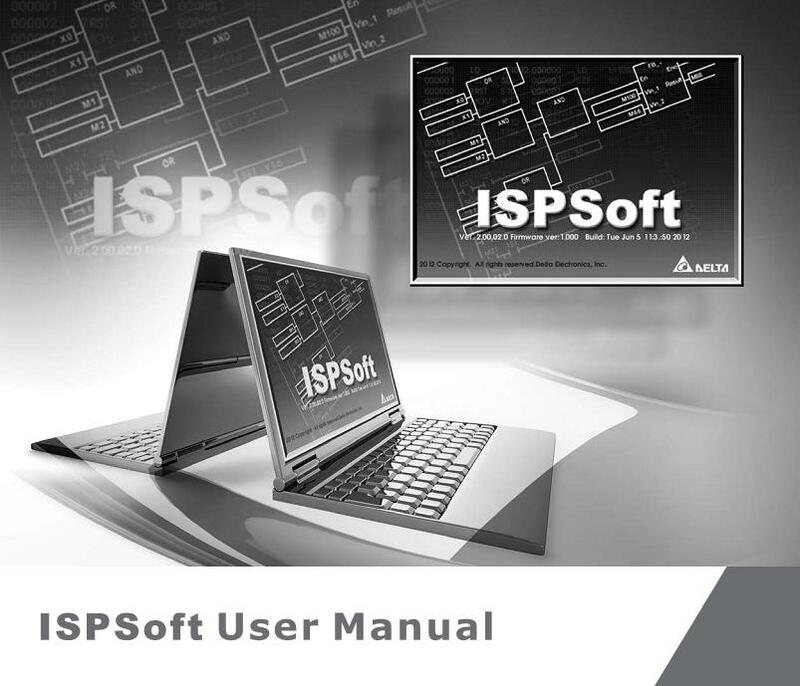 how do I make several input contacts control a single output in ISPsoft? 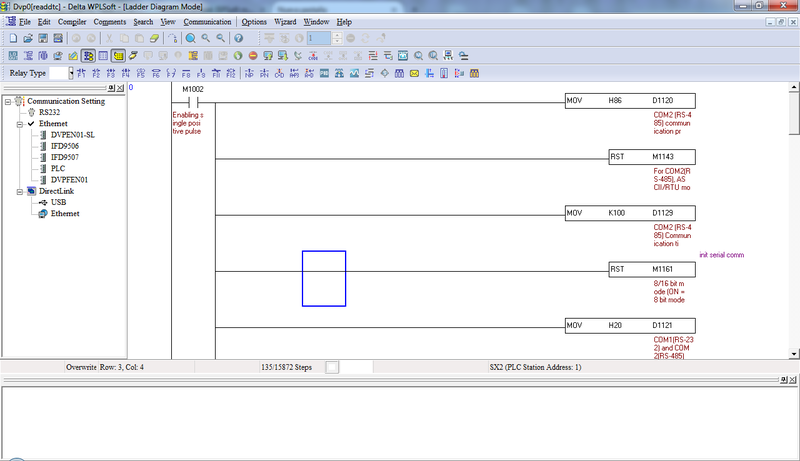 this was easy to do in wplsoft: just add vertical line. i don’t know how to do it in ispsoft (i copy and paste and sometimes it happens, sometimes it doesn’t). on ISPSoft, to do that same thing, i have to add a line and load the contact every time. After installing the 2.2 release there was a problem in the work program. With the help registers E and F and API functions (CJ P0 @ F0) program calls block code tagged P1, P2, P3, etc. up to P100. In older releases ispsoft-a label P0-P100 were basically the physical addresses of the controller, and in version 2.02 appeared ability to mark symbolically labels ie writing in a place such as P0 START or something. So the problem is that now the compiler treats of my labels P1, P2, P3, etc. up to P100 as symbols and when compiling a gives them other numbers (ie, in the debugger is called under labeled P1 not my piece of code, and the other FB). Question. As via registers E and F, call the block of code or FB using labels P0 and Pn? 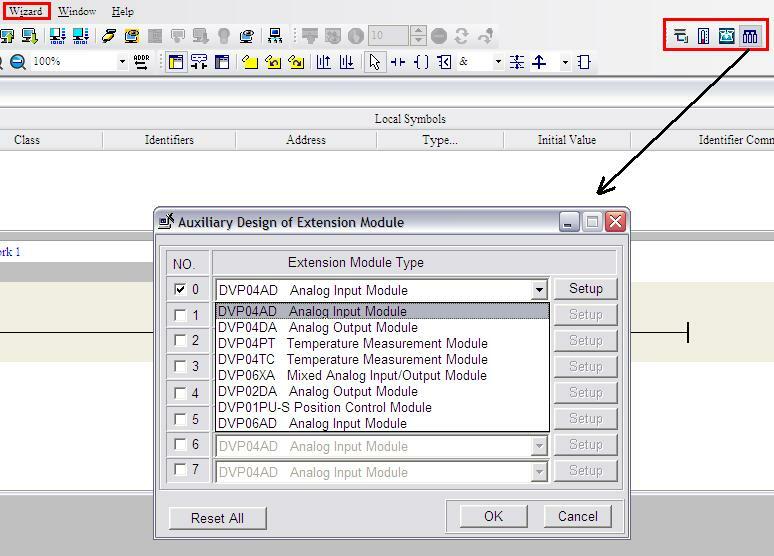 For programming examples, try DVP-PLC Application manual or any other operation manual of the website.